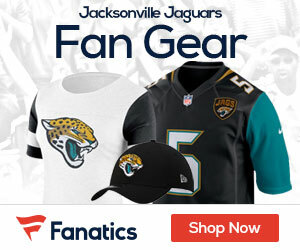 Justin Blackmon, the team’s first-round draft pick this year, pleaded not guilty to a charge of misdemeanor aggravated DUI on Monday in Payne County (Okla.) District Court according to Vito Stellino of the Florida Times-Union. His hearing was set for 10:30 a.m. on July 24, three days before the Jaguars’ first training camp practice. Blackmon is expected to return to Jacksonville for offseason conditioning drills and may hold a press conference this week to address his arrest. Blackmon was arrested early Sunday morning when he was stopped for traveling 60 miles per hour on city streets in Stillwater, Okla., in a 35 mph zone. He agreed to a Breathalyzer test and registered a reading of 0.24, three times above the legal limit. Blackmon is not expected to receive any jail time. The league could levy a fine up to $50,000 for a first time DUI offense, according to a league spokesman. He also would undergo an evaluation under the league’s substance abuse program and doctors would decide if he needs treatment.